Stamping Bella... One Layer Wonder. One sentence that will strike fear deep into the heart of many crafters. I called Marching Chick to arms, coz, he's a cute little fella and I fancied a bit of play time with him. This is an awesome image! I love things colored on Kraft! Very, very cute! 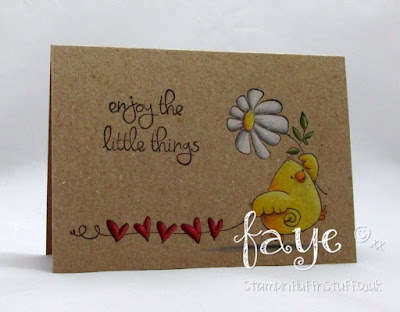 Great card Faye, love the cute imge. Love it Faye as always great coloring!! 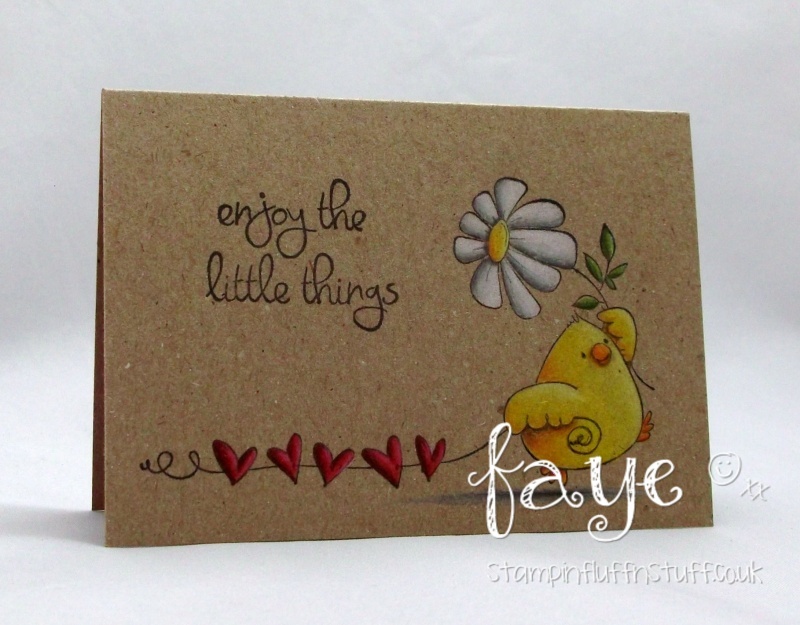 Great card - love the effect on that background - colours really pop! Fab colouring. 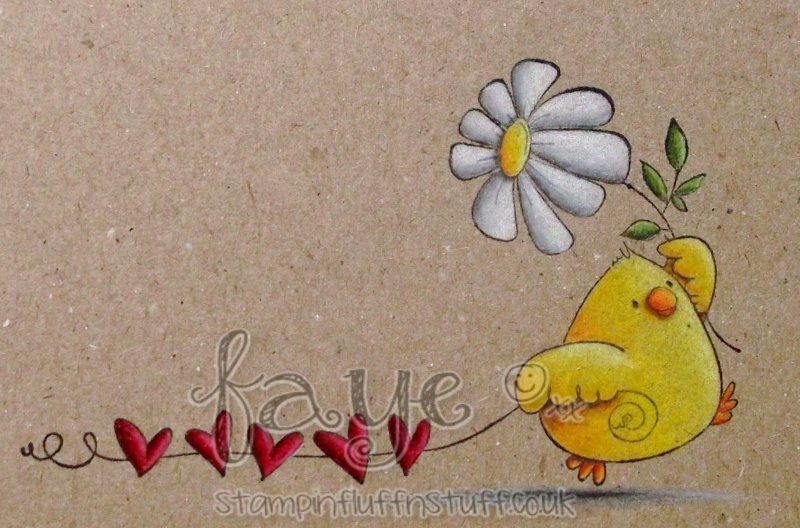 I'm not brave enough to try colouring on Kraft paper! I have never been brave enough to attempt one layer...it gives me the cold sweats just thinking about it! Your pencil colouring on Kraft is so stunning and your secret is safe with me - lol!